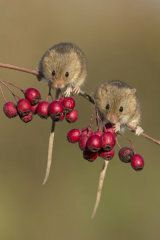 Harvest Mice, Suffolk, Year round. 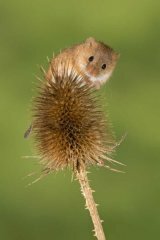 The harvest mouse is the UK's smallest rodent, they have to be one of the cutest of our wildlife species and offer great opportunities for photography. 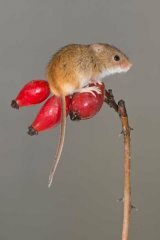 This workshop allows you the chance to photograph these adorable creatures outside in natural looking habitats and light. 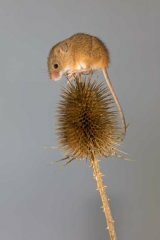 I will have a variety of props (teasel head, dock, wheat stems, berries etc.) on offer although you are welcome to bring your own. 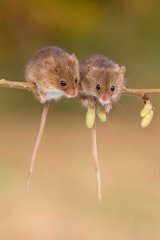 They are so light they will climb and pose on almost anything so as long as I deem your props mouse friendly we can give them a go. 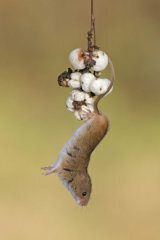 So as not to overwork the mice the expected workshop time is 2-3 hours. Cost £50 one to one, £75 for two people. 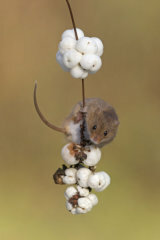 These mice will allow a close approach so almost any lens is suitable. Canon 100mm macro, 70-200 or 100-400 are all great (or your manufacturers equivalent). Tripod useful.